The renowned Gaon, Rabbi Yitzchak Ben Walid, the Rabbi of Tetouan, was one of the most glorious personalities among the Gaonim of Morocco. Rabbi Yitzchak was born in 5537 (1777) and continued the magnificent line of the illustrious Ben Walid family. 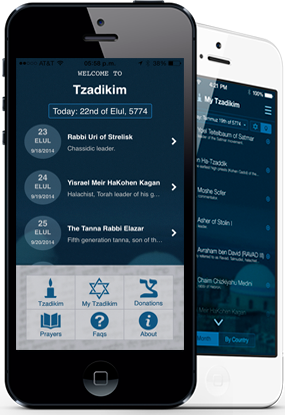 His entire life was devoted to elevating himself in the study of Torah and the Divine service. His invaluable book, Vayomer Yitzchak, a compilation of questions and responses, lends dignity to the libraries of the great Poskim, who come to draw from the source of his Torah, and who are guided in their every step by the judicial decisions of his work. 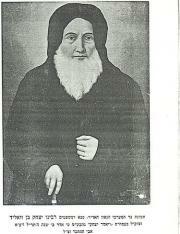 Rabbi Yechayia Ben Naim was one of Rabbi Yitzchak’s students. He was the father of the Gaon Rabbi Raphael Haim Moshe Ben Naim, well-known in all middle-eastern countries under the name of the HaRahaman (the merciful one). The story goes that for many years Rabbi Yechayia Ben Naim (Rabbi Yitzchak’s student) did not have a son. His teacher advised him to make undertake a pilgrimage to the tomb of the renowned Rabbi Amram Ben Diwan in Wazan in order that, by the merit of the Tzaddik, he could have a son. Rabbi Yechayia followed this advice, and soon afterwards a son was born that Rabbi Yechayia named Moshe. Later on, when the child fell ill, the name Raphael Haim was added to him. Rabbi Yitzchak Ben Walid was known as a holy man who performed miracles. During the month of Adar, on the day of his Hilloula, many Jews come out at night to reflect and pray on his tomb in Tetouan. Up to our days, the Jews of Morocco continue to venerate the name of Rabbi Yitzchak Ben Walid, and in Israel many institutions of learning bear the title Vayomer Yitzchak, named after Rabbi Yitzchak Ben Walid.